I take gift giving pretty seriously. I think long and hard about the gifts I give to my friends and loved ones. I love finding that perfect item, and nothing makes me happier than to know that I’ve absolutely nailed it. 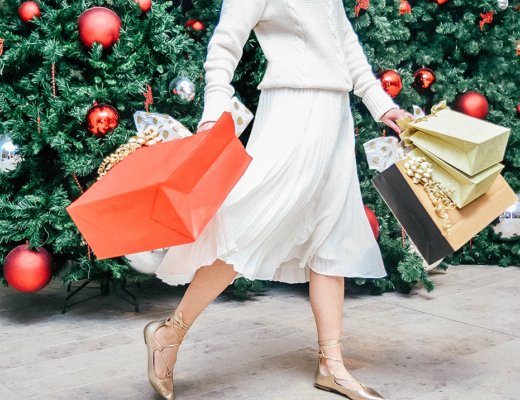 When you’re buying gifts sometimes you can hit a wall. You pass by the same old stores time and time again, and you’re just not wowed by anything because you’ve mostly done it all before. I mean we all love getting new socks and pjs, but sometimes you just want to do better you know?? 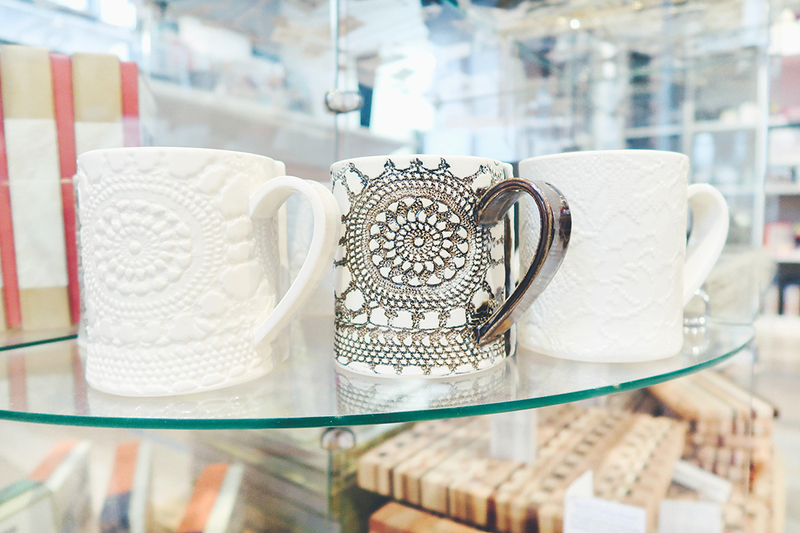 Cue the Art Gallery of Nova Scotia’s retail shop. 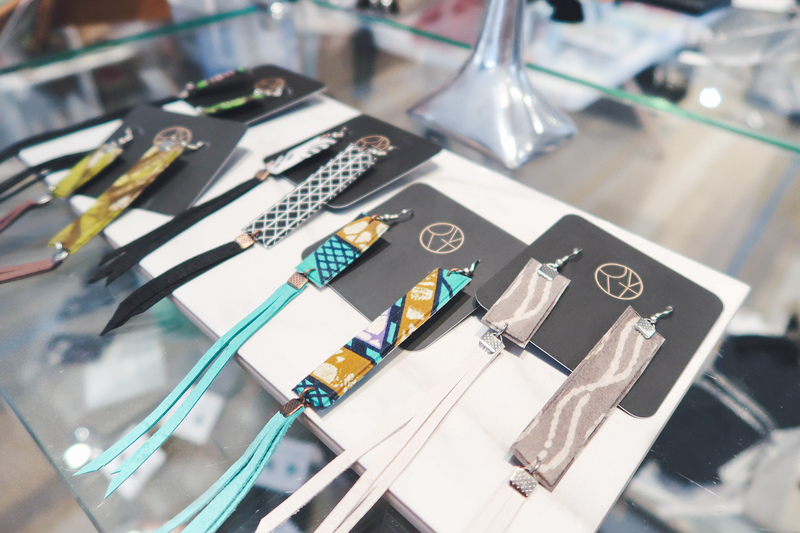 Recently I popped in to see what they offered, and guys I was so impressed! They offered so much more than I could ever have thought. I don’t know why but I assumed I would just find coffee table books, and card stock (not that there’s anything wrong with that) but there was actually SO much more! 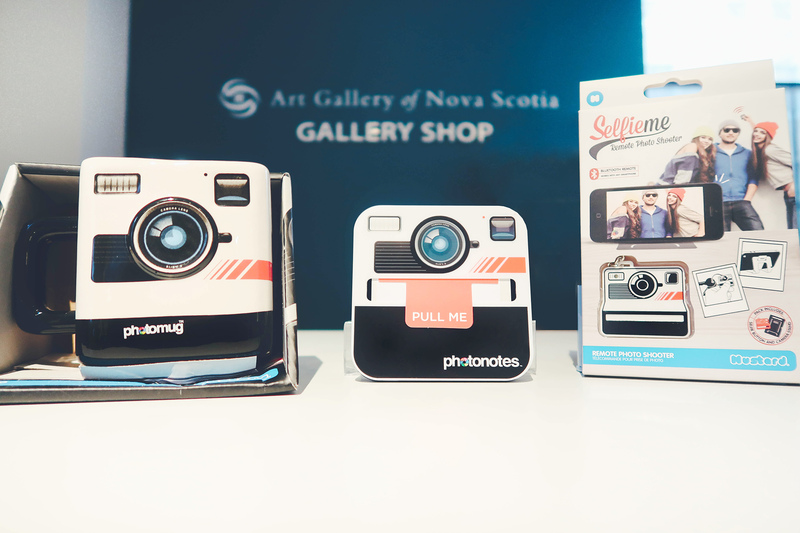 The Gallery Shop at the Art Gallery of Nova Scotia, is so much more than your typical museum gift shop. 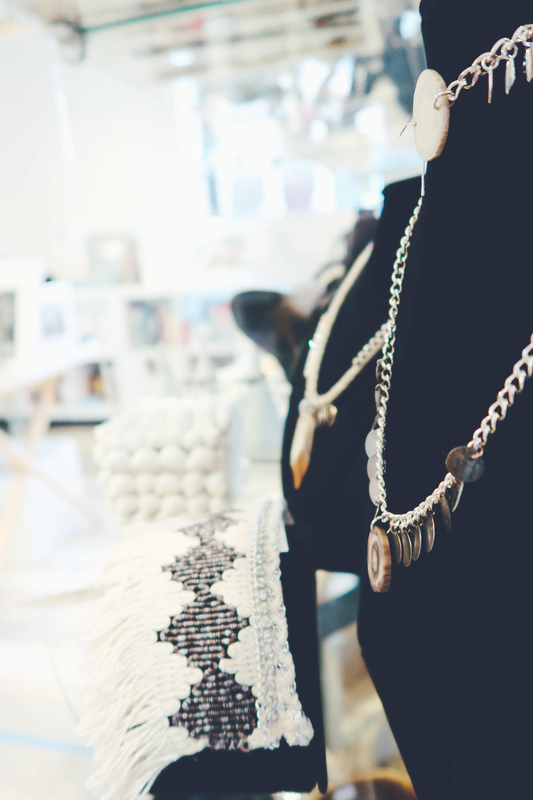 After having some amazingly refreshing conversations with the the staff it was evident that they really love what they do, and work tirelessly to make sure they curate the perfect items. Whether they are near or far, they want to make sure the items have purpose, but are still unique. 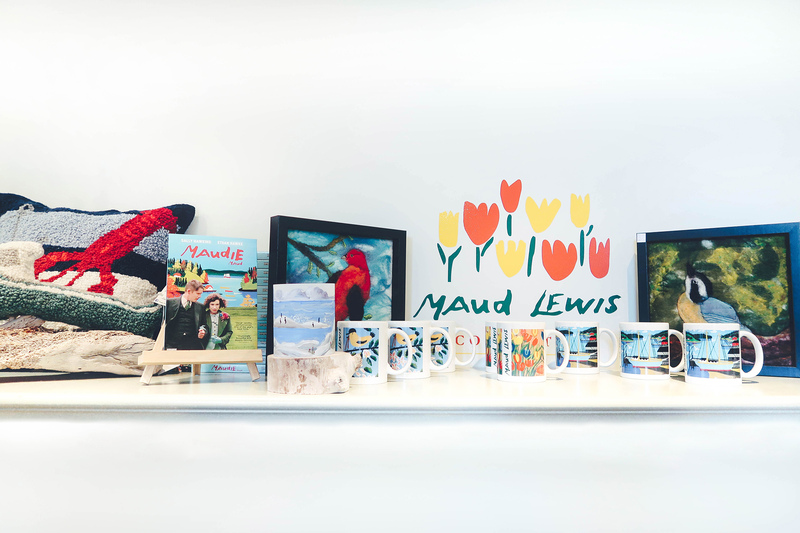 With locations both in Halifax & Yarmouth the Gallery Shop offers an array of fine products relating to Nova Scotian art, Maud Lewis as well as their many other current exhibitions. 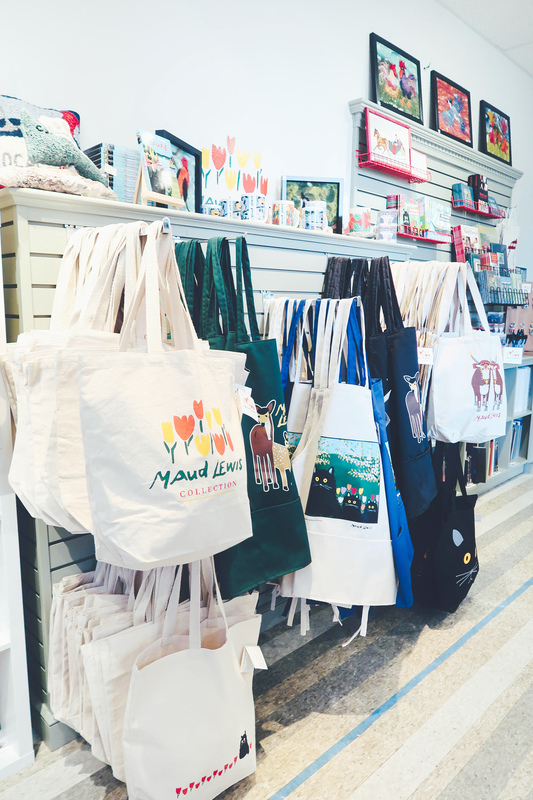 A true gem for downtown Halifax, the Gallery Shop sources items locally as well all over the world its really and truly a great place to find one of the kind gifts. With everything being done online these days it was refreshing to personally speak to the shop owner and learn more about the items and how they were created. And I was super impressed with the variety of items at the AGNS. I immediately recognized these beautiful mugs created by Therese Bombardier after having seen them at the local craft fair recently, and I’m just so obsessed with how unique they are. Also they are great size (when it comes to coffee cups size matters). Speaking to the designer I learned that the mugs are created by hand by pressing lace or a doilie gently against the wet ceramic so they get this beautiful imprint / impression. HOW COOL IS THAT?? 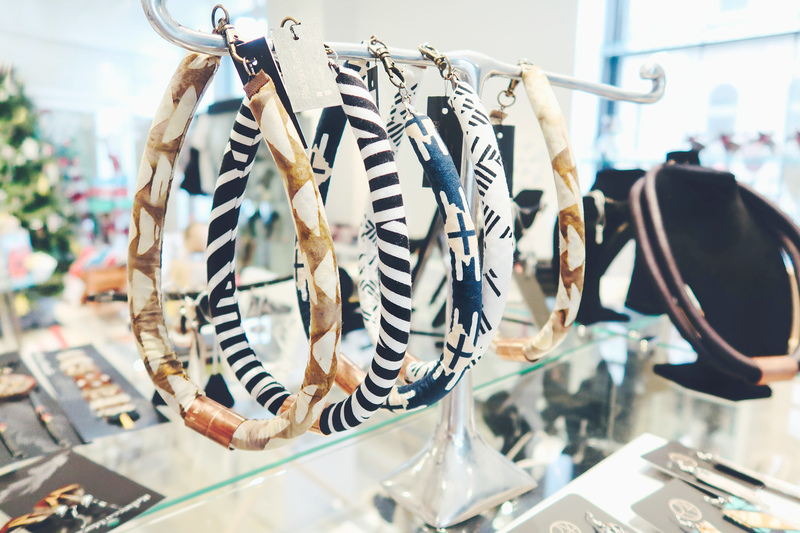 Therese Bombardier also makes earrings too, so be sure to ask about her pieces! One of the big exhibits on now at the AGNS is Prime Suspects: Canada’s Prime Ministers in Caricature by Bruce MacKinnon In this solo exhibition, Halifax-based artist and editorial cartoonist Bruce MacKinnon premieres his new suite of caricature-portraits of Canada’s prime ministers past and present. 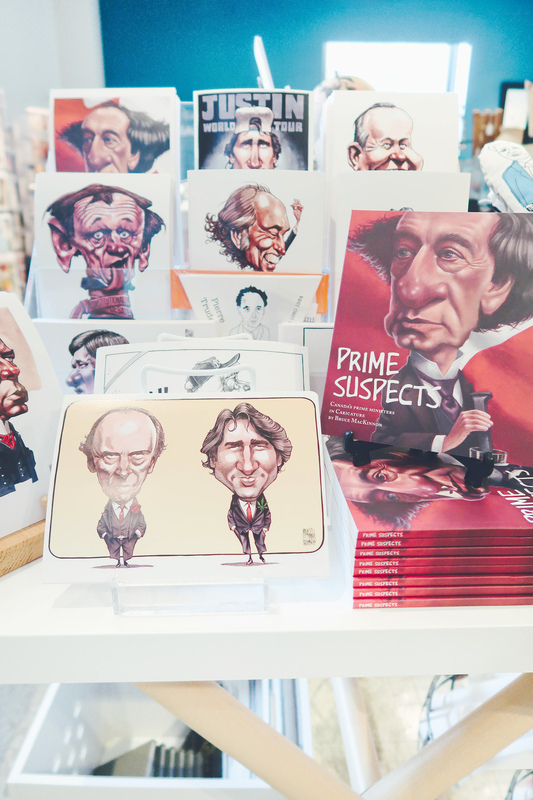 Included are examples of works-on-paper and paintings created by MacKinnon between 1993 and 2017 that together depict all 23 prime ministers, from Sir John A. Macdonald to Justin Trudeau. Through MacKinnon’s signature wit and brand of satire, these works make visible the politics and events that have helped shape our country’s history and the society in which we live today, and now you can take a piece of this legacy home with you, or give them as a gift! 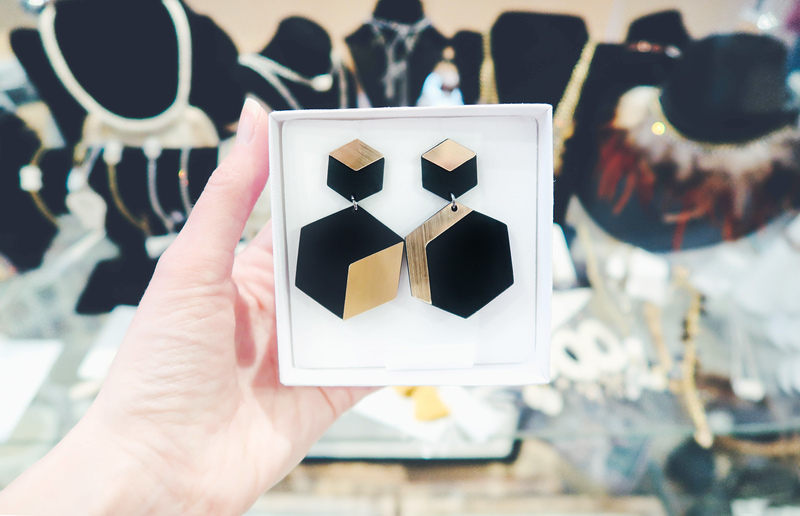 Whether it’s local hand made pieces, or items curated all the way from Paris, France (like the beautiful earrings seen below) the AGNS retail shop has some of the most beautiful jewelry, and I’m confident you could find something for anyone on your list! I’m absolutely smitten with these earrings below that also come in white, and with statement earrings being at the forefront of winter 2018 trends this year: you can be sure you’re making an excellent choice. 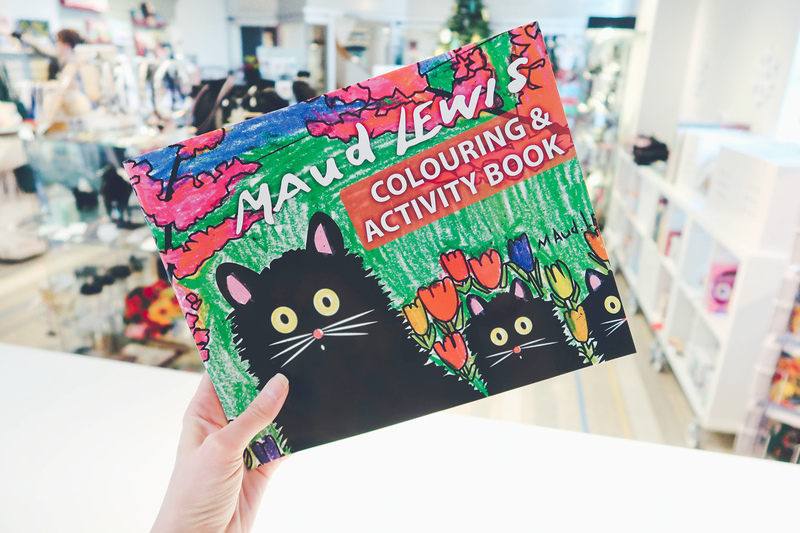 From the folk art of Maud Lewis (as a coloring book) to gifts in a tin (kids love anything in a tin) to dolls that turn into animals (seriously so cool) as well as books written by local authors there are SO many interesting gifts for kids! I mean the kids receiving these gifts are pretty much the hippest kids in town. 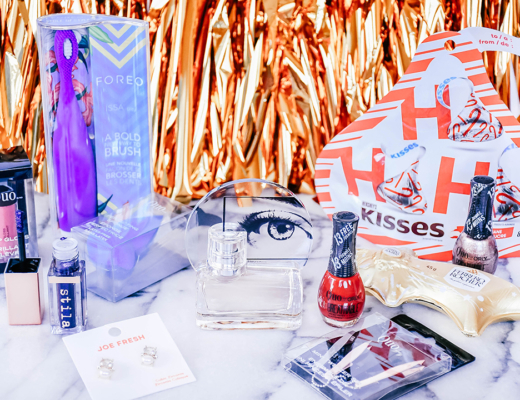 Whether it’s a mug or post-it notes that looks like a Polaroid camera or a remote for taking hands free selfies the photographer in your life would be head over heels for these items. I know I was super smitten with those post-it notes (which come with a silicon backing that adheres to a surface so you can stick them to your desk or wall. SO CLEVER RIGHT??? 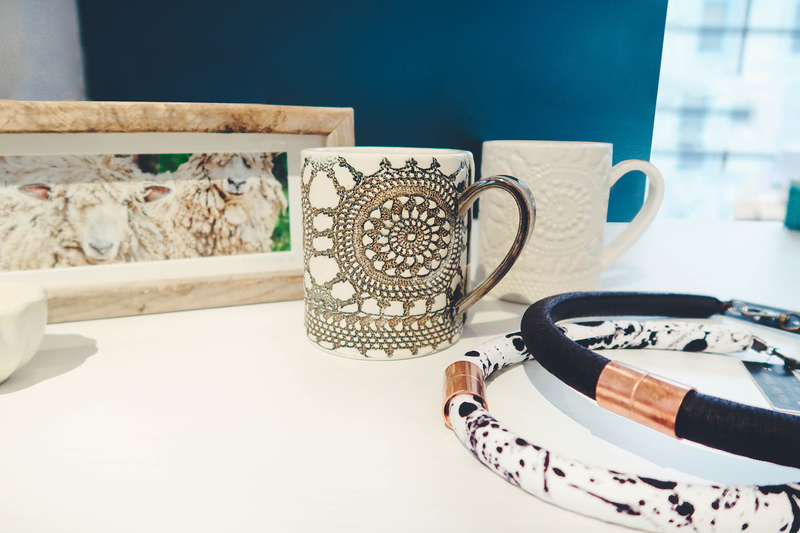 I have to admit it was really tough for me not to buy everything in the Gallery Shop there were so many great ideas. Maud Lewis’s folk art is quintessential to Nova Scotia culture, as well as the AGNS, and with the recent film Maudie she’s more popular than ever! I was even told that her drawing of the cat has is garnering attention from all over the world, and they’ve been overwhelmed with online orders. 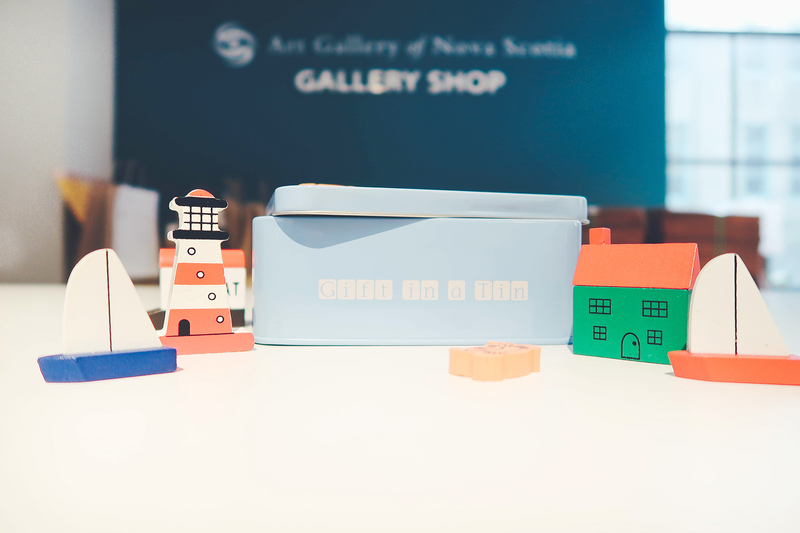 Did you know that the AGNS has Maud Lewis’s actual home?? It’s really quite something, and if you’ve not been I highly recommend it. 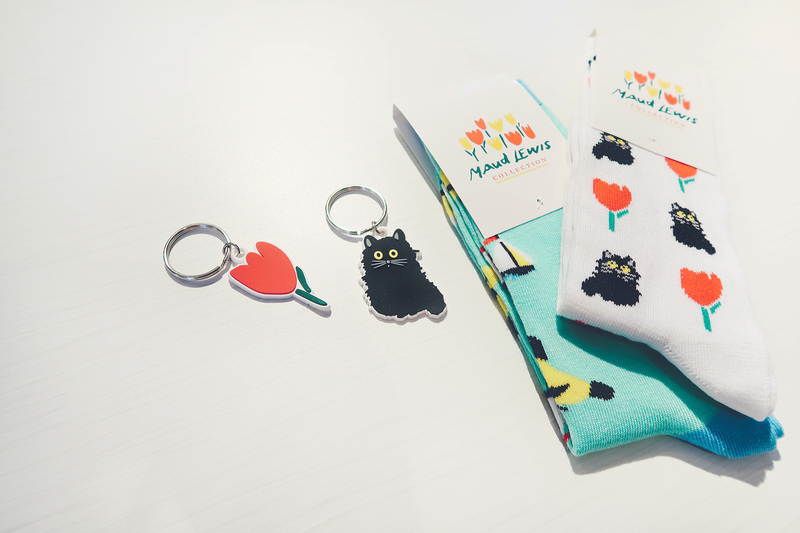 From the Maudie movie, to mugs, coloring books, socks, magnets, key chains there’s no shortage of Maud Lewis items at the AGNS retail shop! 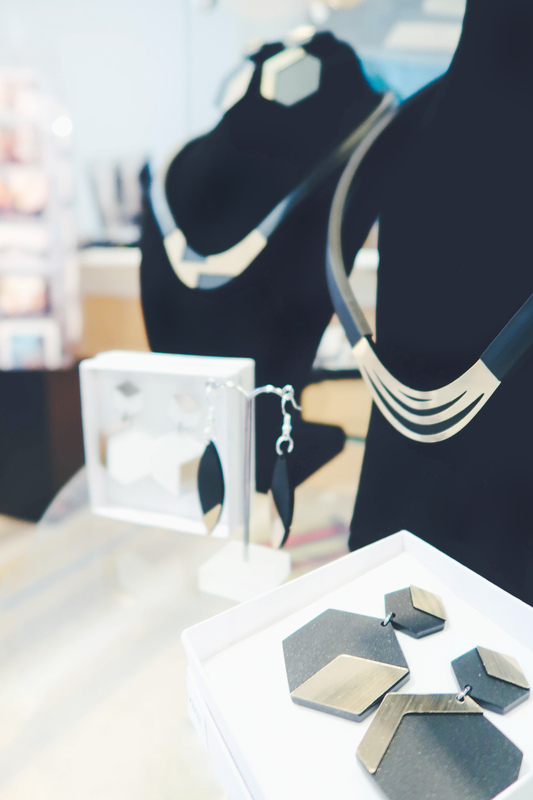 This is just a small portion of the items available at the Art Gallery of Nova Scotia Gift Shop, and what I love about shopping here is that it’s not only a great way to support local, but the staff are so knowledgeable if you’re interested in learning more about the designer or the process they can totally point you in the right direction. For more information please pop over to the Art Gallery of Nova Scotia website or click here. *This post was sponsored by AGNS; however, all opinions expressed are my own. 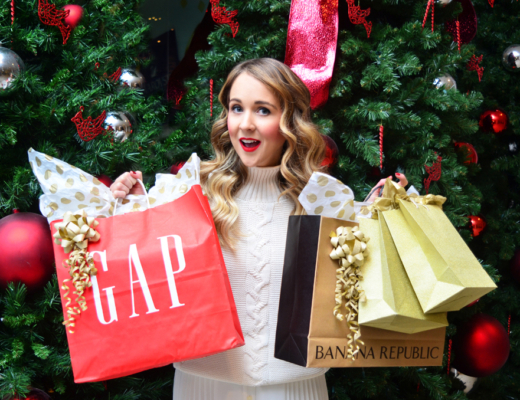 I’m the same way, I LOVE gift giving!